One of my best friends Sabrina reached out to me one night last summer, hyped about SoulCycle and insisting that I needed to try it. I got on the SoulCycle app and started playing around with it. I booked myself a bike in the Woodbury studio. 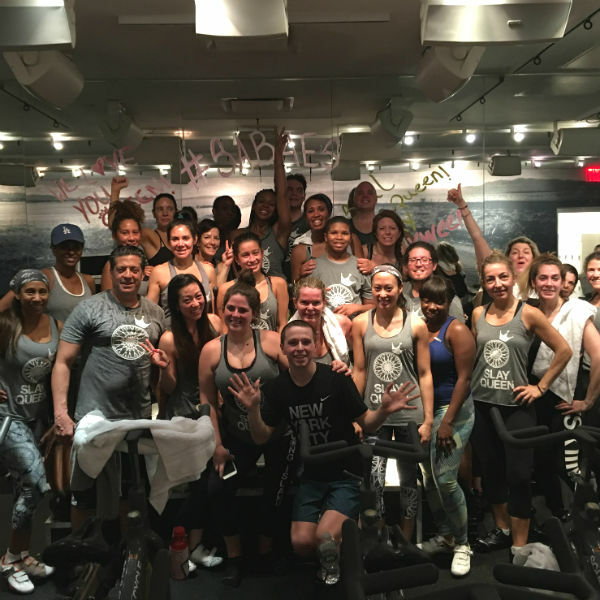 I remember being excited to try SoulCycle, but unconvinced that indoor cycling would give me an amazing workout. 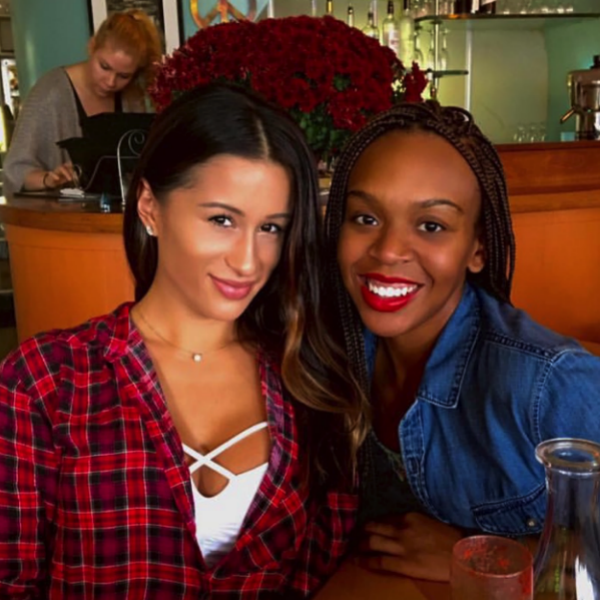 Although I basically blacked out and remember nothing from that first class, I do remember the instructor taking her time after class to get to know me. Her energy was radiant and genuine (shout out to Jo Ruffin , I love you). It has definitely been a tough year for me. My mother moved away to Florida and my father and both of my baby sisters moved to Arizona. My family is a bunch of special humans with the most amazing hearts. It is not easy being so far away from them. To make a long story short, the Lord definitely knew I needed this SOUL community in my life, because one thing is for sure: I have the most amazing SOUL fam and I’m truly blessed to have connected with some many people at the Woodbury studio. 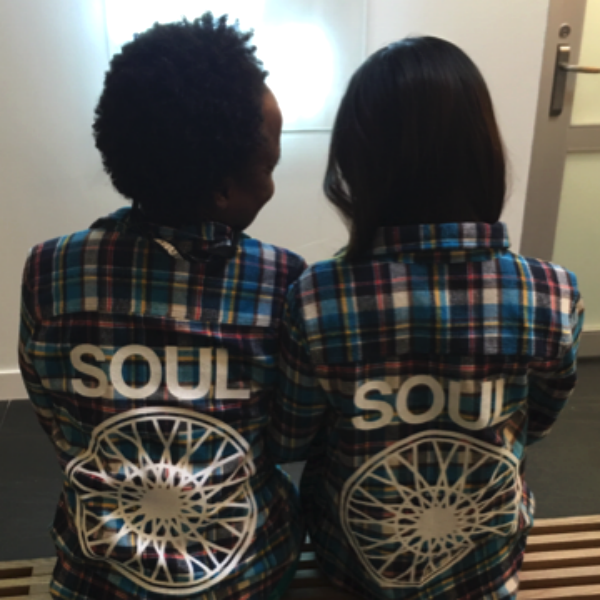 To this day, I give my friend Sabrina all the credit in the world for introducing me to SoulCycle. She had mentioned to me that I would really enjoy class with one particular instructor. That incredible instructor was Sabine. She described her as a fly, sweet, challenging and inspiring instructor who also played hip-hop. I booked myself into one of her Hip-Hop Thursday rides and showed up at the studio. In Sabine’s class, I found myself moving in time with the music and focusing really hard on my form. There were so many people in the room that made it look so damn good and easy! I started going more often (a.k.a. every day, twice a day). Slowly but surely, I realized the impact SOUL was having on my life. There were days when I felt emotionally defeated, but in that room I was able to find serenity. Complete stillness. In those 45 minutes, I gained confidence and a sense of self-worth; I was reminded that I am both strong and courageous. In the nine months that I have been riding at SoulCycle, I have met the most beautiful people in the world, both inside and out. I feel so lucky to have so many individuals around me who inspire, love and motivate me every day. I want to give thanks to all of the Woodbury and Roslyn staff. To all of the instructors who continue to inspire me the minute I’m in their presence: Ayana, Jo, Sunny, Jade, Casi, Rachel, Soeuraya, Sandra, Noah, Melanie and Trammell — you all hold such a special place in my heart. Thank you for all of the light you have brought into my life and all of the strength you have given me. Lastly, I want to thank Sabine. Sabine has given me so much to be thankful for. Through her wisdom and love, she inspires her riders to find the confidence to believe in themselves – and she connects us all to one another. She is a QUEEN who continues to bring joy into our lives. She reminds us that no matter what our failures have been, no matter what our flaws are, no matter what or who we cried our heart out for, no matter what insult, abuse, heartbreak or obstacle we have ever endured, we are bigger and stronger than it all. She speaks to me, she speaks to her riders, she brings peace and she inspires. 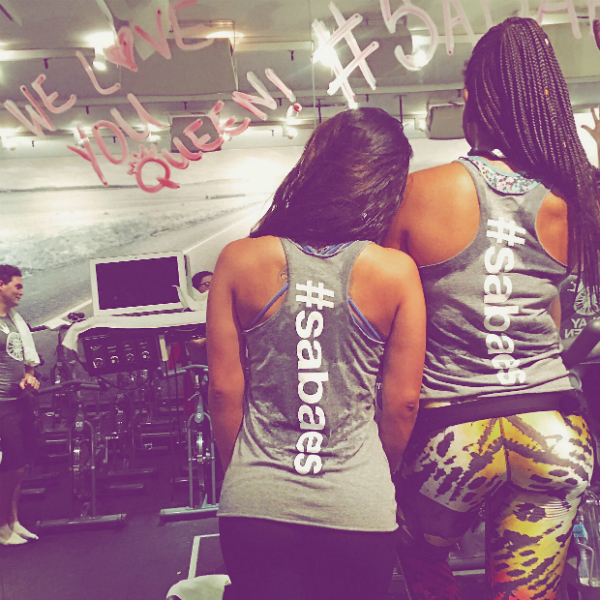 Sometimes I find that when I’m talking to others about my love for SoulCycle and the community, I am completely overwhelmed and I can’t even find the proper words to explain how much SOUL and Sabine have impacted my life. I asked a fellow rider, Renee, how she would explain it. She said: "What makes Sabine special is the experience she creates in the room. It's not only what we are doing but also how she makes us feel— and her energy. She is an amazing performer. She meticulously manages the playlist, lights, candles, rides the bike and instructs all of us. It is more like a Sabine experience for me. That's why I love her and her class." It is an amazing feeling to walk into SOUL and feel surrounded by family. The energy and the connections are so beautiful and special. After each class, I leave with a grateful heart knowing that I have found such a special place that has brought me this nearly indescribable happiness. I think I speak for all #SABAES when I say that Sabine is a very strong and important figure in all of our lives. We had shirts made recently to show our appreciation and revealed them to her just last week. She was SO surprised. The day was absolutely magical for ALL OF US. 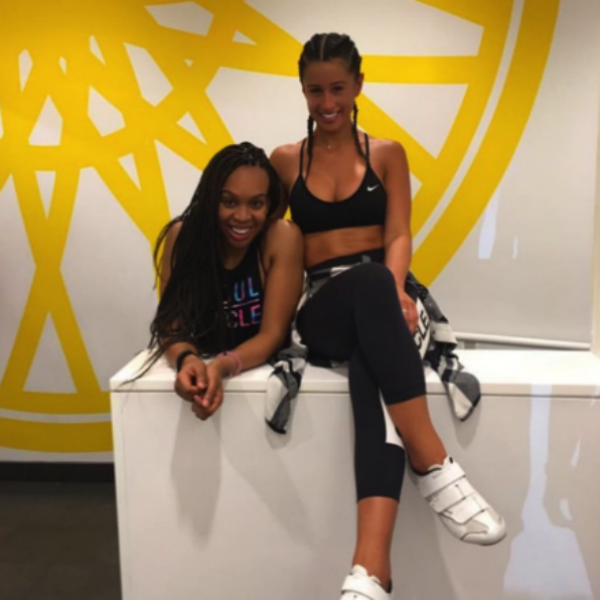 We go to SoulCycle every day and she gives us so much in those 45 minutes. We wanted to give back a little something to HER. Sabine, thank you for teaching me, guiding me and helping me through so much in the short time that I have known you — you are one amazing SOUL sister). You have taught me to never apologize for being me. I've learned to stand up for myself and for what I believe in. You have given me the strength to walk away from what no longer serves me or brings me happiness. You have given me the motivation and drive to conquer my goals and pursue all of my dreams. I hope to one day be able to inspire someone the way you inspire me. Thank you for it all!